Increase the benefits you experience with CPTG Essential Oils by incorporating the AromaTouch Technique into your healthy lifestyle philosophy. 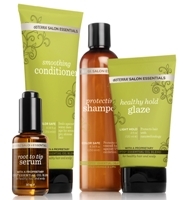 This kit contains 5 ml bottles of: Balance, Lavender, Peppermint, Melaleuca, Wild Orange, AromaTouch, Deep Blue, and On Guard. Also included is the AromaTouch DVD. For a limited time, you will also receive doTERRA's Fractionated Coconut Oil (4 oz.) when you purchase this kit. The Family Physician Kit is a collection of ten nurturing essential oils, including six single oils and four blends. The stunning box includes tips for using the oils, as well as an audio CD featuring doTERRA's Chief Medical Officer, Dr. David K. Hill. In this audio presentation, Dr. Hill teaches listeners how to care for their family's everyday health needs with simple and safe methods using the ten essential oils included in this kit. Includes 5 ml bottles of Lavender, Lemon, Peppermint, Melaleuca, Oregano, Frankincense, Deep Blue, Breathe, DigestZen, and On Guard to help families address a multitude of health issues. 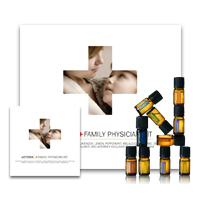 The Family Physician Kit is a collection of ten nurturing essential oils, including six single oils and four blends. The stunning box includes tips for using the oils, as well as an audio CD featuring doTERRA's Chief Medical Officer, Dr. David K. Hill. In this audio presentation, Dr. Hill teaches listeners how to care for their familys everyday health needs with simple and safe methods using the ten essential oils included in this kit. Includes 5 ml bottles of Lavender, Lemon, Peppermint, Melaleuca, Oregano, Frankincense, Deep Blue, Breathe, DigestZen, and On Guard to help families address a multitude of health issues. 7-pack contains 7 Family Physician Kits. Being prepared for emergencies gives you and your loved ones the feeling of safety and security. 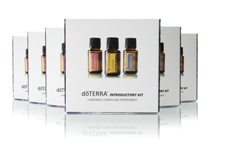 Provide your family members with peace of mind with the doTERRA Emergency Preparedness Kit. This kit includes 15 ml bottles of the oils that are essential for every home: Lavender, Lemon, Peppermint, Melaleuca, Oregano, Breathe, DigestZen, On Guard, Frankincense, TerraShield, AromaTouch, Purify, Clove, and Lemongrass, with a 5 ml bottle of Deep Blue. This kit also includes a Fractionated Coconut Oil, wood storage box, diffuser, and a Family Physician Audio CD. 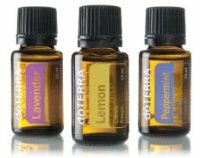 As an additional tool for sharing doTERRA with customers and new consultants, the Introduction to Essential Oils Kit includes the introductory audio CD and booklet and a 5 ml bottle of doTERRA's Certified Pure Therapeutic Grade Lavender, Lemon, and Peppermint essential oils. The stunning presentation box also includes suggested uses of the included oils providing your prospects with an immediate experience of the life-changing benefits of essential oils. The Introductory Kit with CD 6 pack is ideal for anyone who is eager to share with friends and family. These beautifully packaged kits make great gifts and will introduce beginners to the benefits of doTERRA's CPTG Certified Pure Therapeutic Grade essential oils. With 5 ml bottles of Lavender, Lemon, and Peppermint included, beginners will quickly become essential oil enthusiasts after learning how to incorporate these oils into their daily health routine.